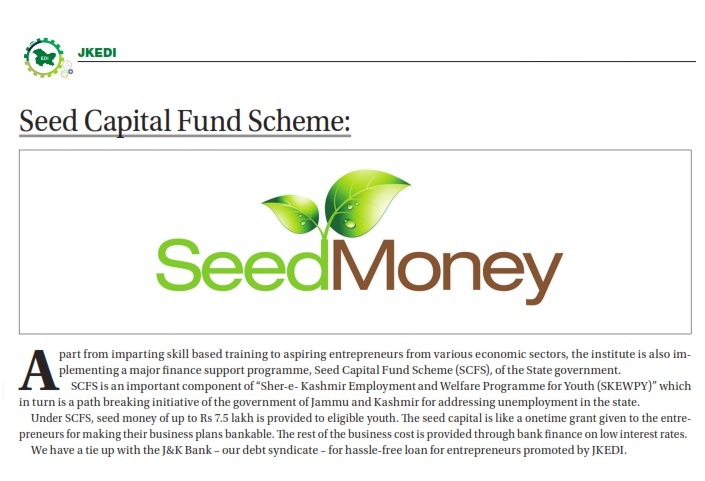 Apart from imparting skill based training to aspiring entrepreneurs from various economic sectors, the institute is also im-plementing a major finance support programme, Seed Capital Fund Scheme (SCFS), of the State government. SCFS is an important component of "Sher-e- Kashmir Employment and Welfare Programme for Youth (SKEWPY)" which in turn is a path breaking initiative of the government of Jammu and Kashmir for addressing unemployment in the state. Under SCFS, seed money of up to Rs 7.5 lakh is provided to eligible youth. 'the seed capital is like a onetime grant given to the entre-preneurs for making their business plans bankable. The rest of the business cost is provided through bank finance on low interest rates. 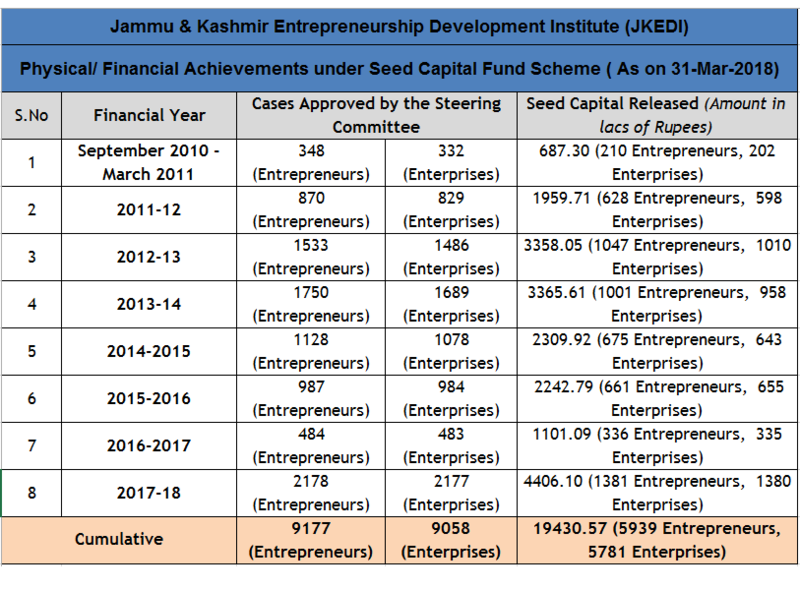 We have a tie up with the l&K Bank - our debt syndicate - for hassle- free loan for entrepreneurs promoted by JKEDI.